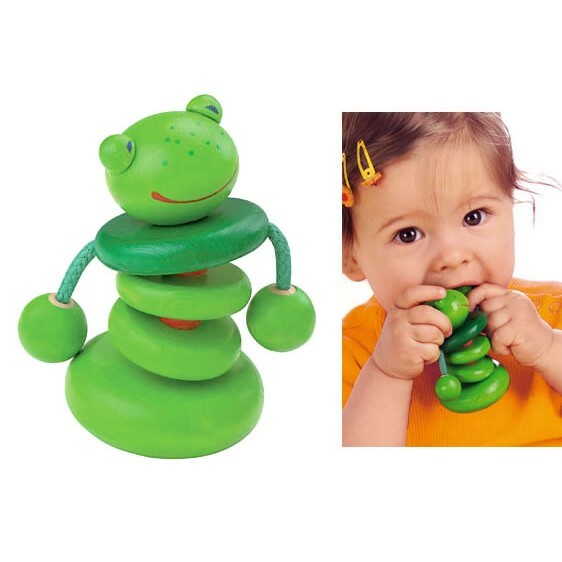 Croo-ak is a smiley wooden Frog rattle for babies. He makes a gentle clacking sound when shaken and his flexible body bends and rotates so that he has lots of poses. 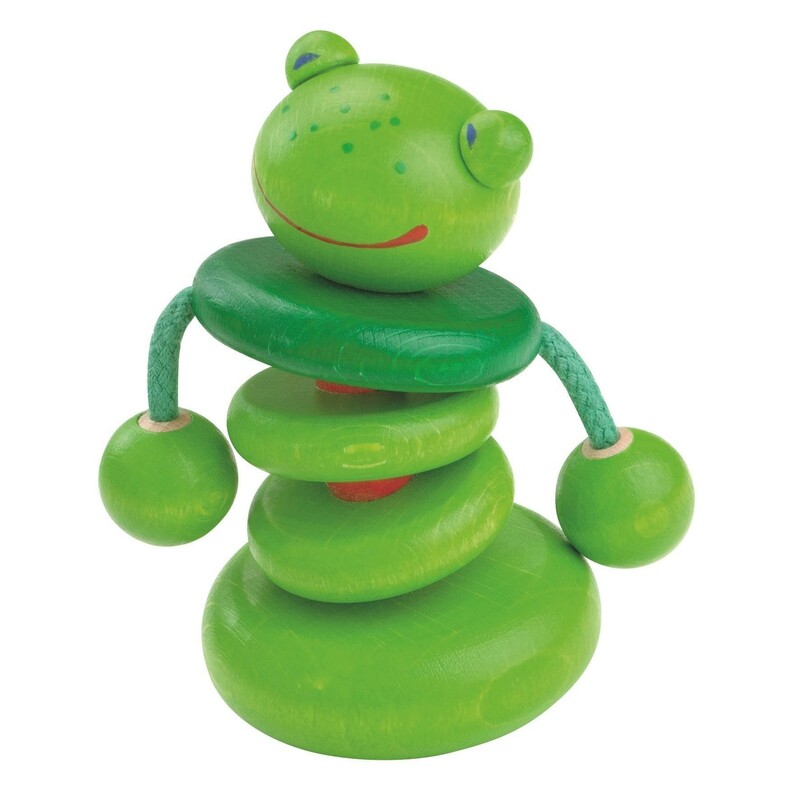 This cute little frog has little arms which dangle and move around creating a gentle sound, great for stimulating baby's senses. Croo-ak can stand up and he's just the right size for little hands to grab hold of and play.